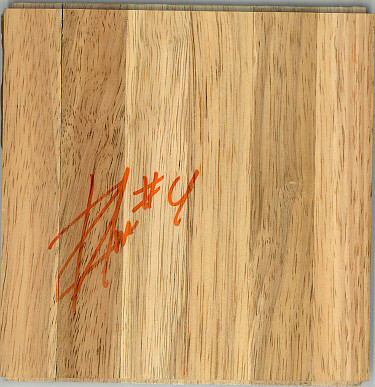 Wayne Chism has hand signed this 6x6 Hardwood Court Floorboard #4. Certificate of Authenticity from Athlon Sports Collectibles. Signed in Orange Marker.